Complex chemical transformations are mainly at nanoscale. From enzymes to adsorptions, molecular interplay at the nanoscale accounts for critical chemical conversions that sustain our lives. Our understanding is limited with what we see through spectroscopic means that require significant quantities of substrates. Studying chemical reactions in nanoscale spaces can unravel mysteries and lead to advanced designs for key transformations in chemical technologies. At ONE Lab, we study the chemical events that take place in the confined spaces of nano and porous materials. 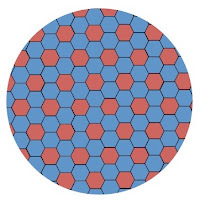 At the simplest level, we look into adsorptions of gas molecules onto the surfaces, pore walls and channels. By installing catalytic sites, we force the substrates into controlled, selective conversions. Thirdly, nanoparticles are grown within the pore confinement and functional nanoscale guests are trapped in the nanoscale spaces. Our research bridges the nanoscale phenomena with life size systems and opens new venues for studying even smaller, single molecule chemistry. 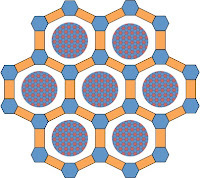 Nanoscale materials can be solids of nanoscale dimensions (nanoparticles) or bulk materials with nano pores (nanoporous materials), or a combination of both (nanocomposites). 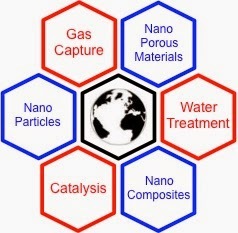 We design and synthesize nanomaterials with suitable functionality towards the target application. Our approach entails sustainability guided design, where we limit our synthetic toolbox to only widely available and sustainable building blocks and reagents. This rewards us with industrial feasibility and most times easy scalability right from the start. The challenge, however, is the added difficulty of chemical transformations to achieve high quality materials with the right chemistry. 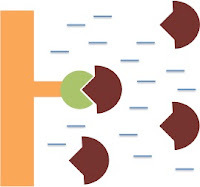 Chemical industry relies heavily on heterogeneous interaction of solids with liquids and gases. Whether it is simple adsorptive removal or complex multi-component catalytic conversions, the underlying chemistry is always about adsorptive atomic interplay. Developing new chemistries of atomic adsorptive interactions is, therefore, key to bring technological revolutions in the chemical industry. In our research, we focus on the functional groups since they define characteristics of chemical behavior in molecules. 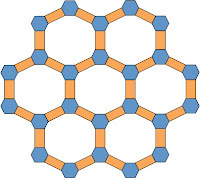 And on porous materials or the surfaces of nanoparticles, functional groups carry out the chemoselective adsorptive mechanisms, in addition to the already existing physisorptive pore confinement or surface phenomena. 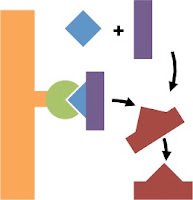 For selective chemical interactions the key concept lies within atomic interface, where inter-atomic electronic relations govern macroscopic trends. 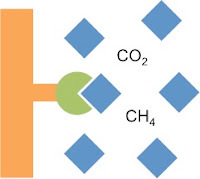 We, then, apply these concepts into the main areas of interest: (1) Carbon capture, (2) water treatment, (3) catalysis and (4) energy applications.